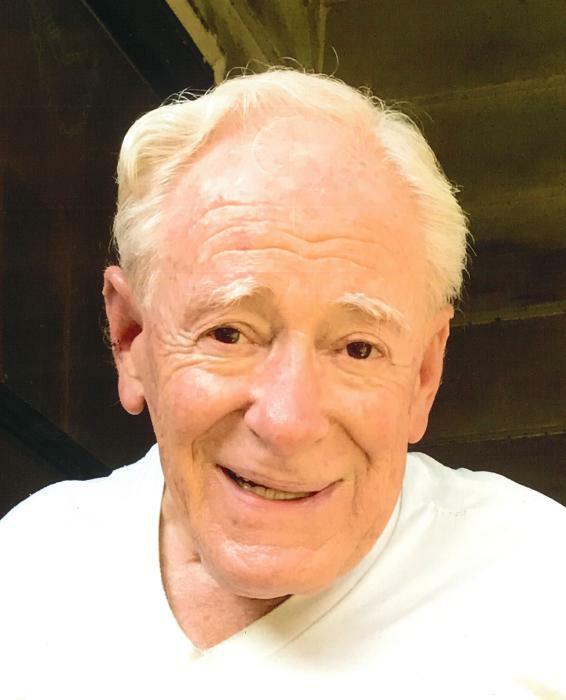 Anthony F. “Red” Spalvieri, 84, of Niles, died Wednesday December 5, 2018 at Copley Health Care Center in Copley, Ohio. He was born October 27, 1934 in Niles, Ohio, the son of Nazareno and Mary Segetti Spalvieri. Anthony was a 1953 graduate of Niles McKinley High School, and was employed for with the Plaster and Cement Mason’s Union for 30 years, retiring in 1985. He was a member of St. Mary’s Catholic Church in Mineral Ridge, The St. Vincent DePaul Society, The Boy Scouts of America, and The American Red Cross’s 18-gallon blood donor club. Red enjoyed gardening, driving race cars, roller-skating, taking Italian lessons at his church, attending his children’s and grandchildren’s extra-curricular activities, and being everyone’s favorite dance partner. He will be deeply missed by his wife, Frances “Cookie” Monstwil Spalvieri, whom he married September 7, 1968, and with whom he recently celebrated 50 years of loving marriage. Also missing him will be his large, happy family, consisting of five children: twin daughters Jennifer Spalvieri Hennessey (and her husband Bob) of Strongsville, Ohio, and Jeannine Spalvieri of Copley, Ohio; Anthony F. Spalvieri, Jr. (and his wife Pamela) of Seven Fields, Pennsylvania; Merrilyn Spalvieri Abucejo (and her husband Jonathan) of Copley, Ohio; and Michael Spalvieri (and his fiancée Emily Iler) of Cuyahoga Falls, Ohio. Anthony also leaves behind a sister, Alvina Callihan, (and her husband George) of Liberty, Ohio. Anthony was a loving grandfather to his twelve adored grandchildren: John, Michael, and Nick Hennessey; Anna, Anthony, Abby, and Andrew Spalvieri; Giovanna, Isabella, and Joshua Abucejo; and Brett DeNunzio and Rex DeNunzio Spalvieri. He will also be missed by John and Samuel Ballano whom he helped raise, and many beloved nieces and nephews. Anthony was preceded in death by six siblings: Ellen Waite, Virginia Simor, Alvin Spalvieri, Gino Spalvieri, Ruth Cost, and an infant sister. Friends may call Sunday from 4 to 7PM at The Joseph Rossi and Sons Funeral Home in Niles, Ohio. Mass of Christian Burial will be held at 11AM Monday at St. Mary’s Catholic Church in Mineral Ridge, Ohio, with Fr. Richard Murphy officiating, preceded by a 10:15AM prayer service at the funeral home. Burial will be in All Souls Cemetery in Cortland, Ohio.